Would you like to know how resistant the new iPad Pro is to bumps and scratches? Do you want to discover the quality of your materials before deciding to buy this tablet? Then this video will interest you. Of course, beware, the images can damage the sensitivity of technology lovers ... and Apple fans. 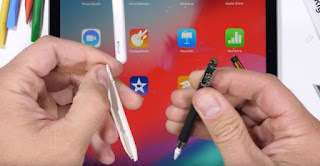 The JerryRigEverything YouTube channel shared a video with a test of endurance and durability of the new iPad Pro 2018 and Apple Pencil second generation. It ends, of course, completely destroying both products. Look look! The test begins with a couple of scratches on the tip of the Apple Pencil 2, and discovering that its weakest zone is the central part. The new Apple tablet is the finest in history, and that is why it is slightly easier to split in half. Applying relatively little force, it is possible to fold in half . Although it is very difficult that this happens in a situation of daily life. 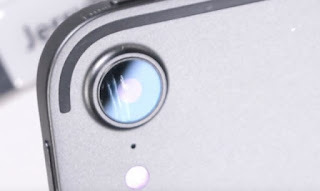 Another curiosity of this resistance test is that it shows us that the sapphire material that covers the lens of the camera is not a very pure composition of sapphire. The truth is that the video is somewhat worrisome. But it is not a case as clear as #BendGate . Anyway, it is very curious to see the different reactions of people to this type of video. Normally it usually makes a face of horror ... especially if you like technology. At the end of the test, as a touch of humor, the youtuber shows us how much fun it can be to draw on an iPad Pro ... with a cutter. Anyway!